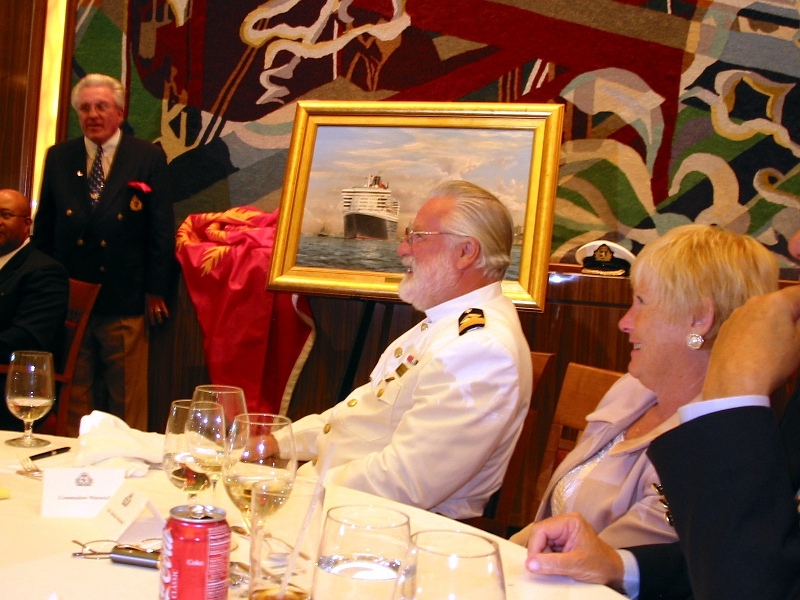 A tribute luncheon to honour Commodore Ronald W. Warwick upon his retirement was hosted by Cunard Line and the Long Island Chapter of the Steamship Historical Society of America aboard Queen Mary 2 while berthed at the Brooklyn Cruise Terminal on July 24, 2006. Guests for this special occasion included hundreds of friends of the Master of the QM2, many of whom were staying aboard as passengers on the Commodore’s final transatlantic crossing. 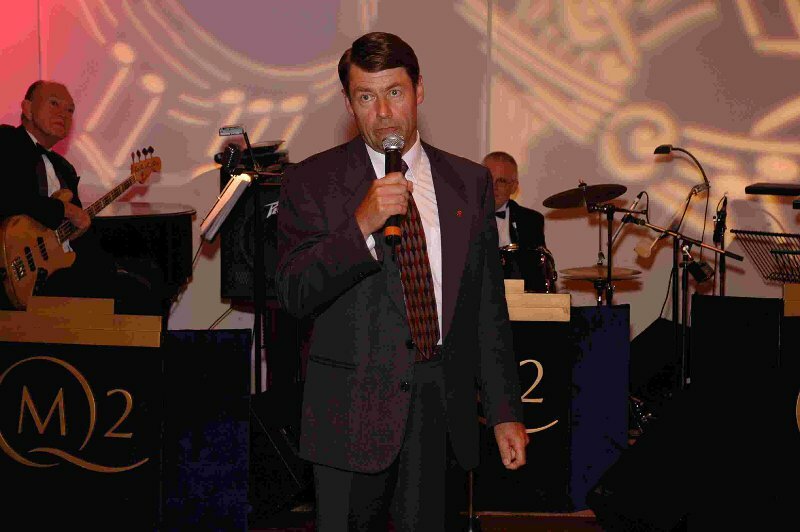 Commodore Warwick officially retired upon arrival at Southampton July 31, 2006 after 36 years of esteemed service with Cunard Line. 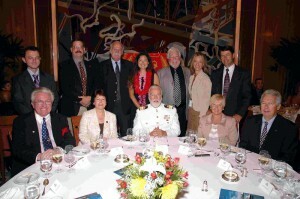 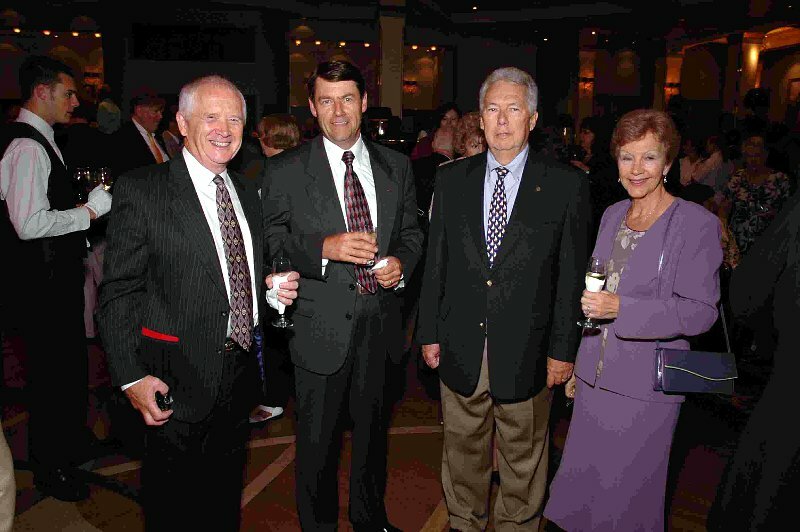 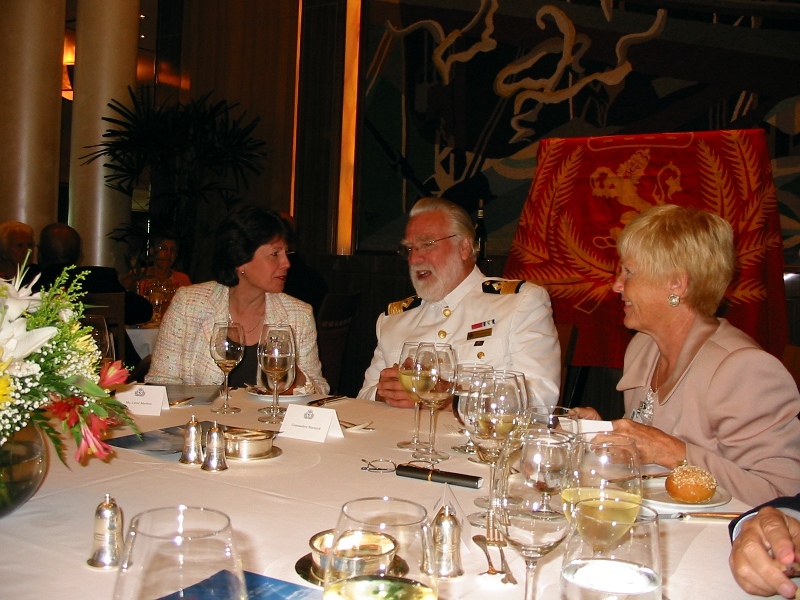 ‘Commodore’s Table’, Tribute Luncheon July 24, 2006.